The Blue Zones Project is a well-being improvement initiative designed to help make healthy choices easier and within reach of everyone throughout Southwest Florida. When an entire community participates, from worksites to schools – from restaurants to grocery stores, the small changes contribute to huge benefits for all including, lower healthcare costs, improved productivity, lower absenteeism, increased engagement, and ultimately, a higher quality of life. “Since its inception, Moorings Park was designed around the concept that its residents would live longer, happier and healthier lives, which perfectly emulates the concept behind the Blue Zones Project,” said Dan Lavender, CEO and President of Moorings Park. Dr. Allen Weiss, President and CEO of the NCH Healthcare System, has played a leading role in the Southwest Florida Blue Zones Project. Dr. Weiss also has a close relationship with Moorings Park and helped cut the ribbon when the Life Plan community was officially named a Blue Zones Project recognized organization. Dan Buettner, founder of Blue Zones and multiple New York Times best-selling author, was responsible for identifying five places in the world dubbed “Blue Zones” – where people live the longest – and are the healthiest. They include: Okinawa, Japan; Sardinia, Italy; Nicoya, Costa Rica; Ikaria, Greece; and Loma Linda, California. The concept of Blue Zones grew out of the demographic work performed by Gianni Pes and Michel Poulain who originally identified Sardinia as a region in the world with the highest concentration of male centenarians. The duo drew concentric blue circles on a map highlighting the villages of extreme longevity and began to refer to the area inside the circles as the Blue Zone. Buettner entered the picture and pinpointed other longevity hotspots around the world and dubbed them Blue Zones. Ultimately, Buettner and a team of demographers and researchers discovered that all Blue Zones areas shared nine healthy lifestyle habits by people who live the longest. They named that list the Power 9. 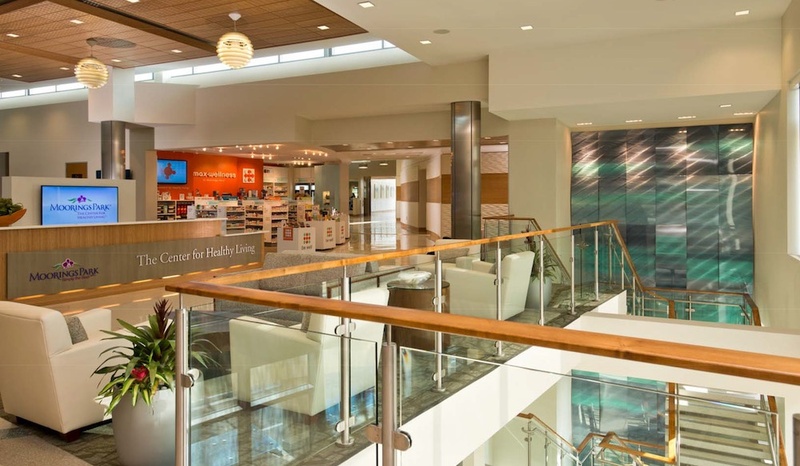 Examples of Moorings Park’s commitment to Blue Zones include the newly renovated and expanded clubhouse at Moorings Park which incorporates Blue Zones inspired choices into its daily menu options. The programs and activities for residents also highlight the project’s main principles, strengthening the community’s mission to attain successful aging for each person they serve. 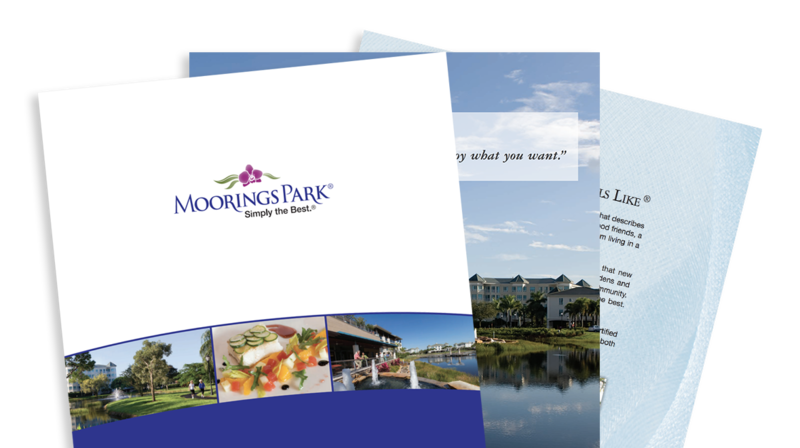 Moorings Park also incorporates Blue Zones philosophy through such programming as massage and spa treatments, fitness programs, educational presentations, and opportunities for socialization such as the annual concert series at Bower Chapel. 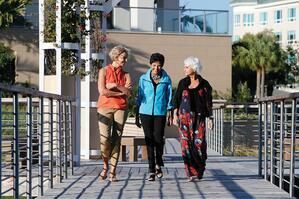 Moorings Parks’ Center for Healthy Living is the heart of the Blue Zones initiative. Offering an integrated approach to wellness, the resident-focused, physician-based amenity improves healthcare delivery to residents, expands knowledge of the aging process, and introduces new approaches to care that celebrate the positive aspects of aging while optimizing vitality and happiness. The center also offers personalized physician services, integrated rehabilitation programs, and licensed professional staff. Its features include customized cardio and strength programming geared toward seniors, as well as cognitive and memory training. The Center for Healthy Living also includes the Sheffield Theatre which hosts both feature films and lectures, the Rejuvenate Salon and Spa, the perfect place to “Down Shift” during the course of a day, and a Max-Wellness retail store staffed by trained wellness advocates with products ranging from natural vitamins and supplements to fitness items. For more than 35 years Moorings Park has set the standard when it comes to Southwest Florida retirement communities offering luxury residences, world-class amenities and outstanding healthcare services. Mooring Park’s mission remains the same – to provide Simply the Best® facilities and services for successful aging within an environment where residents can thrive physically, mentally, emotionally and spiritually.